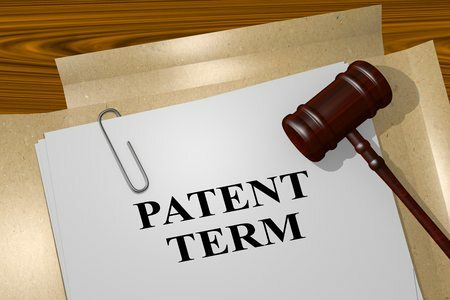 As a general rule, a utility patent has a term of 20 years from the date on which the application for the patent was filed in the United States. Even though the term of a utility patent is measured from its filing date, the term does not actually being until the patent issues. If the application that eventually issues into a patent specifically references an earlier filed non-provisional U.S. or international patent application, the term ends 20 years from the filing date of the earliest such application. Thus, provisional patent applications are not considered in the calculation of the 20-year patent term. There are several exceptions to the 20-year patent terms. First, patents will expire short of their 20 year pendency if the necessary maintenance fees are not timely paid to the U.S. Patent and Trademark Office (USPTO) to keep the patents alive. Second, the USPTO may provide patent term adjustments to patents that endured unwarranted administrative delay by the USPTO as pending patent applications. Third, patents granted from continuing patent applications (e.g., continuations, divisionals, or continuations-in-part) will each have a patent term that ends 20 years from the filing date of the earliest application from which a benefit is claimed. For design patent applications filed on or after May 13, 2015, the term is 15 years from the date the patent was granted. Patents issued from design patent applications filed before May 13, 2015 have a term of 14 years from the date the patent was granted. Even though the USPTO does not calculate expiration dates for patents, the USPTO does provide a downloadable patent term calculator to help estimate the expiration date of a patent. The calculator can be used to estimate the expiration dates of utility, plant, or design patents. As you can tell, determining the expiration date for a patent is not always straightforward, even with the assistance of the USPTO patent term calculator. Whether you are a patent owner; a business owner looking to acquire a patent; a competitor to a business that owns a patent in your field; or an individual/party being accused of patent infringement, identifying the exact expiration date of a patent is critical. Feel free to contact a Traverse Legal patent attorney to assist you with your patent needs.